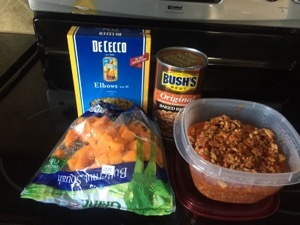 When I make chili, I make chili. I mean a lot of chili. Gallons of the stuff. Sure, I like to eat it and I usually have a number of bowls, but I end up freezing quite a bit. 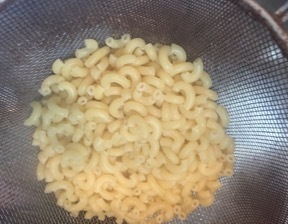 One day I thawed out some and then learned that we’d have a total of 3, not 2 for dinner. Time to stretch it. This was great and the flavors all came together. 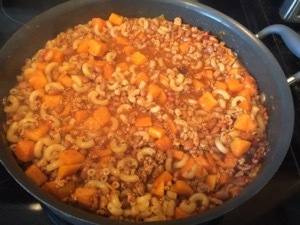 Ingredients were about 3-f cups of chili, 1 can of baked beans, a box of macaroni and about 3 cups of cubed butternut squash. 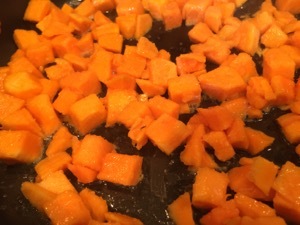 Salute the squash in a little oil until cooked (and a bit soft). 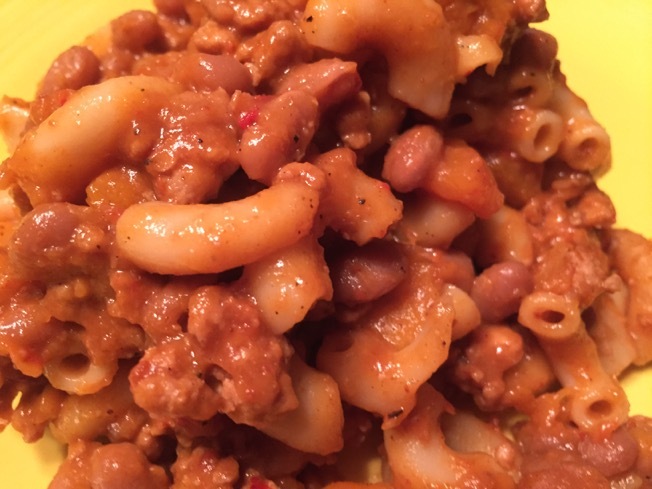 Put it all together and cook on medium for 10 minutes so the chili heats and the flavors blend.